My name is Ilke, and I am originally from the beautiful city of Istanbul, Turkey. A little over ten years ago, I landed in the US for the first time. I was expecting a New York lifestyle, yet I ended up in the small college town of Clemson, South Carolina. I was a little startled. Try going from a place where you were taught English by Australians and Brits, and then talking to a Walmart cashier in South Carolina… I couldn’t comprehend “paper or plastic” through the southern accent, and on my third day in the US I had no idea how on Earth I had become her “honey!”. Believe me, you would get startled! 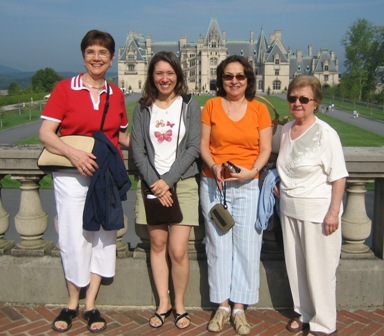 So, at that time, my mind was made up: I planned to attend Clemson University only for a year as an exchange student, and finish my master’s degree in Turkey. But that was just planning. Fast forward ten years. Now, I am still in the South (loving it) and married to a great guy from another small town in South Carolina, in which we now live. We do live a little closer to urban civilization now (a short drive to Charlotte, North Carolina), and I work in the city for a consulting firm as an environmental engineer. So, I’ve given up trying to plan my life in such a detailed manner, and I have started cooking grits! I did not cook when I was in Istanbul, since I was living among great cooks. One of them was and still is my beloved grandmother, Emine. While she was cooking, I did not think I needed to know how to do it, I just ate. Then my years away from her taught me how important those family recipes were. It is funny that when you are living abroad, the simple foods start to mean a whole lot more than you think. I found myself experimenting in the kitchen to try and catch the exact flavor. Sometimes it works, sometimes it does not. Pretty soon, cooking that food would remind me of my city, my grandmother’s kitchen, or a routine day from my childhood. And this was the best healing therapy I could find for a far-away soul. Cooking has worked for me so far in terms of trying to catch a little glimpse of the past, and as long as I don’t gain too much weight, I am willing to put on a couple of pounds to remember those old times! I learned to cook because I missed the cuisine from my native Turkey. Meanwhile, all these years in the South introduced me to another great cuisine here. That’s right, I’m talking about good ol’, down-home Southern Food! Time after time, I found myself returning to the Southern Living cookbook my mother-in-law gave me, for those really great southern recipes. And since by now I can comprehend the southern accent quite well (y’all! ), I have come to really enjoy learning from Paula Deen’s programs. Actually, sometimes I think Paula Deen and my grandma would have gotten along pretty well, purely for their common love of butter :). If cooking is healing for a devoted cook, eating it together with a great company is the celebration of that healing. My house has always been full of friends and family, and no matter how chaotic it gets sometimes, there is nothing a deep breath and a big sip of wine can not help :). Hopefully, you will enjoy the recipes I have found and tried, or copied from my grandma, or created based on what I had. I’m glad you found my blog. Please come back often! If you would like to talk to me directly, please email me at ilke(at)ilkeskitchen.com and I will write back to you as soon as I can. Love the website! lets get together and share recipes! Your dear brother didnt tell anything about this website.Maybe he doesn’t know yet:)I found at facebook. I hope, i can come with my wife to visit you and your great husband.So we can have a chance to see Ilke’s Kitchen. You and Ozden are welcome to our house anytime! Just tell me when, I will cook the world for you two! Every word of the recipes and stories on “Ilke’s Kitchen’s” deeply touches my own“far-away-soul”. It took me to far far away places which used to be our home (Turkey), made me feel so far away from home yet so close and right at home at the same time. I have always loved your cooking during the years we lived in Clemson right across from each other’s small college apartments on Issaquena Trail. There are many times I find myself craving for “Ilke’s Cheesecake” or “Ilke’s Raspberry Chocolate Cake” :) You are a natural cook and that’s why with no fear you try new recipes, mix them with Grandma’s recipes and find great tastes during this experimental journey. No joke, this is one of the reasons Bill and I would love to live closer to you and Jay so we can be some of the professional tasters of “Ilke’s Kitchen”. I am so happy that you started this blog, it is truly inspirational. CHEERS! Did I tell you Ben made borek from your recipe for my birthday?? It was delicious! What a nice site! I have been enjoying reading your posts. I look forward to reading more! Thanks Mimi! I will check your blog as soon as I can :) Thanks for leaving a comment! Hi Ilke.. I really enjoy ur page. You share not only about inside your kitchen.. but inside your head and heart.. so lovely ! as “foreigner” living in other country it’re all touching my soul.. I love your webpage. Your dishes are so gorgeous and now I am so hungry! Hi Ilke..just bumped into your website.Great experience sharing and recipes.I like your page a lot. Glad to visit your wonderful site…thanks for your comforting words to the vagabond. Surely with friends and helpful hands as I prepare to move my kitchen (to downsize), an occasional dip into the wonders of Turkish cooking can help…do you have a recipe for Keskul? I tried it once & would like your version for a cooling dessert after spicy meals. Selam Ilke, you have a very lovely blog. I enjoy reading your posts. It’s great to find some cultural notes in them. Your grandma’s ‘tuzlu’ look yummy. I love such snacks! And how lucky you are to have her! I will absolutely try these biscuits.Nice to meet you! I had the pleasure of visiting Turkey in 1995. What a gorgeous country! I loved it – and my friends and I each gained about 5 lobs in the week we were there because the food was so fabulous. I would love to return. Hi! I am glad you had a great time, you should definitely visit again, just to see the change! I get startled every other year! Thanks for visiting and I hope you will be back soon! 32 years ago I use to live in Istanbul(at 42 Ihlamur yolu…), since than i am in love with the wounderful turkiye. Thanks Talya! Hope you like the recipes! Hope you get to visit Turkiye, everything changes very quickly over there! I just wanted to tell you that the Nutella Cake that I won in the Japan-benefit auction was absolutely fabulous. You made several people smile and I look forward to ordering more in the future. Please take care and know that you bake amazingly!! I hope you forgive me for my incredibly delayed response to seeing this wonderful website! It is GREAT!!!! I am definitely going to try a lot of it out, you are doing a wonderful job with it. I promise I will email soon- and catch up on what you have been up to these last 8 months. I enjoy reading your posts since you write your recipes not only as a cook but also as a story teller.. and the pictures are really appetizing! I live in Vienna for a while. There are(un)fortunately many turks and turkish restaurants here, that’s why I am not too much homesick but still, when I read your posts, I can feel your sentiments. Fun to get to know you a bit! I LOVE the South too. Hi Ilke, it is always nice to meet one of my adas :) Hope you stop by often and please stay in touch! What a wonderful find reading your blog today! One of my dreams is to go to istanbul, Turkey so I will enjoy your family stories and of course food dishes intertwined very much. I am so glad living in the south worked out so well for you but I’m sure you miss your homeland very much. I cannot wait to read more stories. I love your site, too. Have a great week! So happy to find you cooking! Love the blog! Well, it’s been some 6 years since we last met, but you are in my thoughts quite often. My name is Melisa and I’m a professional blogger. I have over 6+ yrs of experience writing for the web and have covered plenty of topics about Parenting and Kids. I noticed that you have a blog and was wondering if you would be interested in allow me to write relevant, useful topics about Parenting and Kids on your blog at no cost. Do you have a recipe for ezme? If so I could not find it. If not is there one you recommend from other cookbooks. Thank you. 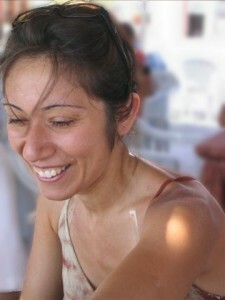 I can recommend to check Ozlem’s blog, she has a vast of Turkish recipes. One difference, in my area, I did not see walnuts being added. There is a good one in Sultan’s Kitchen book as well, by Ozcan Ozan. By the way, I love Turkish dishes. Wow, a lovely touching story. I relate to that very well, having lived away from my own country for over a decade. You must miss the chaos of Istanbul. :) Nice to have found your blog. Hope we will have many things to share through food. Hi Ilke: I am not the cook at our house but I am sure Pat will try some of your recipes. You have a nice blog here and I have enjoyed reading the “About Me” section. I also remember the times that Pat and I visited you and Jay. The time that you and your Turkish friends made supper for us of all different Turkish dishes and we spent an evening talking about our lives is one of my favorite memories. We still think of that time and tell friends of that experience. Some day soon I hope we see each other again. Until that time, take care and say I to Jay. I have missed both of you too! Hope we get to have a long dinner soon again. It has been a LONG time! Web sayfanıza bayıldım. Takibe alacağım. Kendi sayfam için ilham alacağım bir site olacak! Your blog is an excellent resource on cooking. I am a fellow blogger passionate about this as well, and I was wondering if you would be interested in having me guest blog on your website. I will make sure to prepare a high quality article which will be a great fit for your blog that your readers will definitively enjoy. Thank you for your nice words Alexandra. I am not accepting guest posts currently. Thanks. I am so excited I found your site!! I’m from the deep south, Mississippi, but moved my family of 5 to Ankara a few months ago. We love Turkish cuisine, but I still cook all those southern comfort foods from back home. I found an awesome market, and was able to purchase some white beans and rice. That was one of our favorite dishes in the states, but I wanted it to be Turkish inspired since we cannot get the pork sausage we cook with our beans back in MS. I will be visited your page frequently!! My Türkçe is seriously awful, but I am trying to learn! What is the best sausage or meat that you suggest cook with my beans? I bought the Battal Fasulye. For sausage – I mean sucuk – check your market and ask people around you which brand would be good. I am limited with what is available here. Or use regular stew meat. Hope you guys are ok in Ankara after all that horrible event happened there. Let me know if you have any questions. It is a big move. Hope you like it.